Things I Like: Yes please. On a very gray, very gloomy and very uneventful Tuesday, there is only one place I want to be. 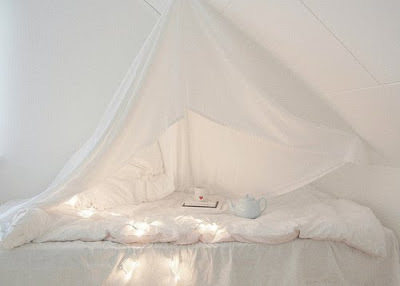 In this bed-fort of love. And if I could get B and F there too it would be pure bliss. As long as B was quiet and F didn't bedhog.